WIndows 10 has a default settings of opening a Quick Access in the Explorer Window. WIndows 7 opens Libraries folder by default. 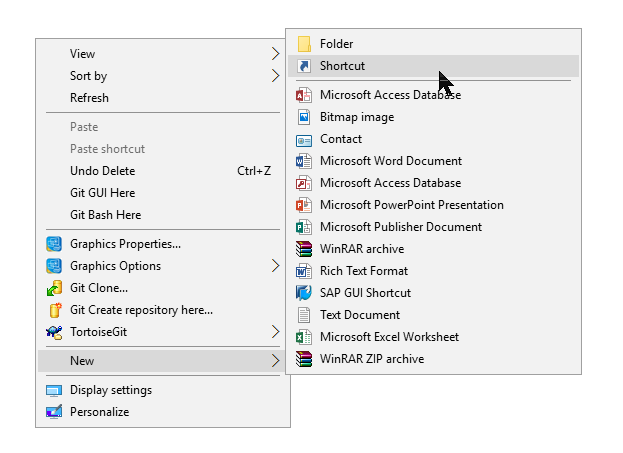 This article will guide on how to change the default folder to your interesting Drive (Drive C) instead of default My Documents as a Quick Access. Lets get started on Change Windows Explorer's Default Folder. Right Click on the desktop and Choose New > Shortcut. This is needed to create a launcher for Explorer Window This will create an icon on the Desktop. 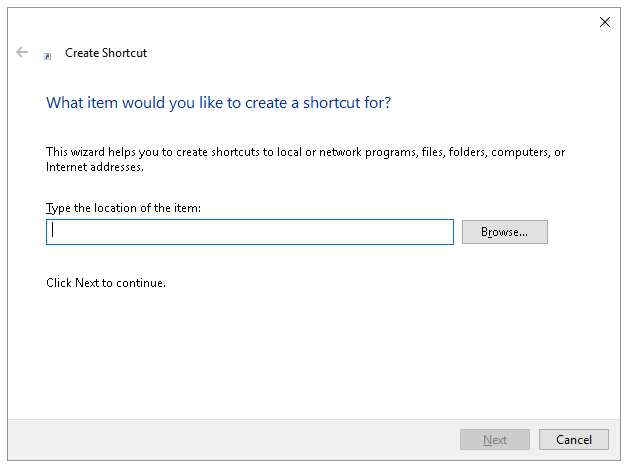 On the next screen, Create Shortcut dialog, You need to provide the path of the Explorer executable file. On all Windows systems the file resides in Primary Drive / Windows directory. 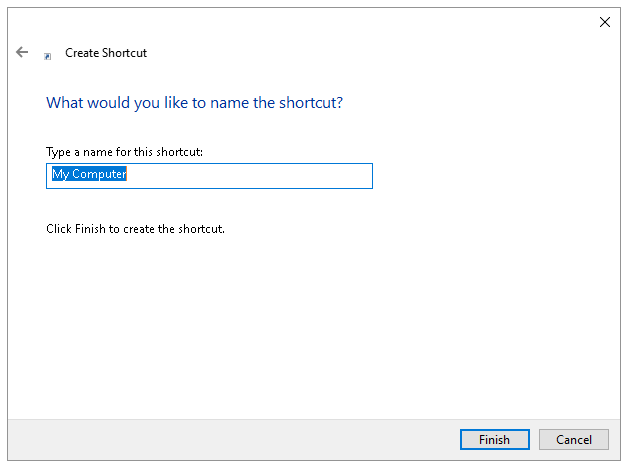 On the next dialog box, Enter a name for the launcher shortcut. This will become a label to the icon of Explorer executable. Click on the 'My Computer' icon we created just now, and it opens Explorer folder containing all Drives and Disks not just My Documents. This is Change Windows Explorer's Default Folder. 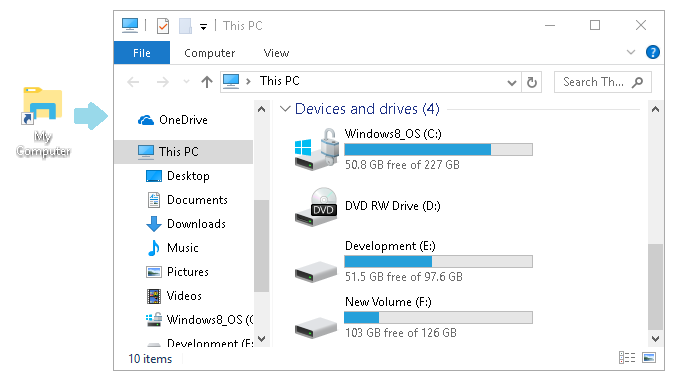 You even can open a specific Drive on the icon double click. Lets see what and where we need to change in above procedure. In Step 2 where we entered a location of Explorer.exe, we need to append some parameters in order to open specific Drive.